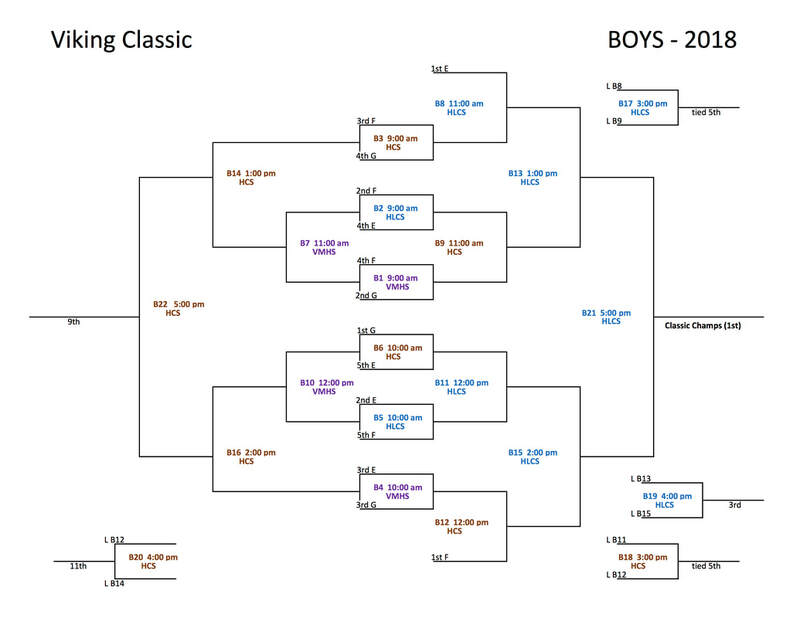 ​Click here for tournament updates/results. 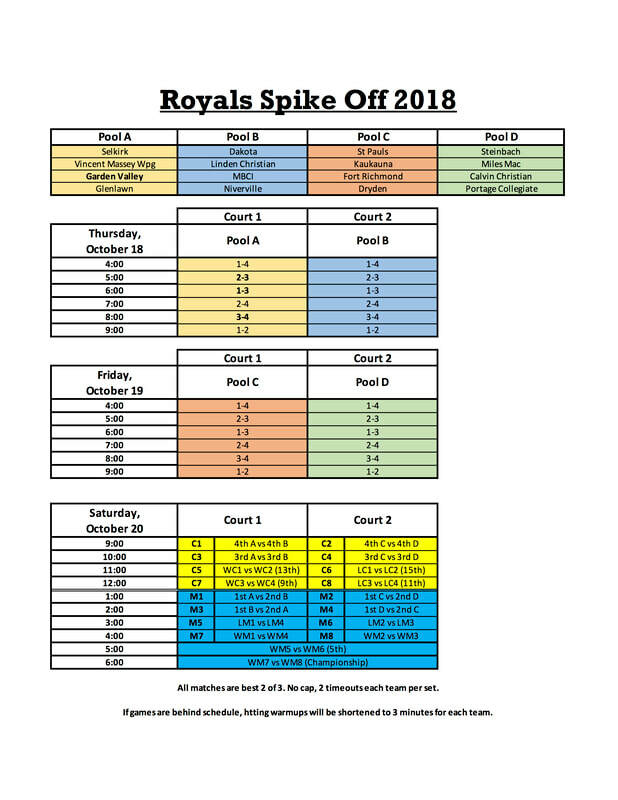 Varsity Boys Tournament Draw - Selkirk Royals "Spike Off"
The Boys tournament features 14 teams from various classifications and 2 provinces. The top finisher in pool E and F will get a bye to the quarter finals. All teams are guaranteed a minimum of 5 best of three matches. 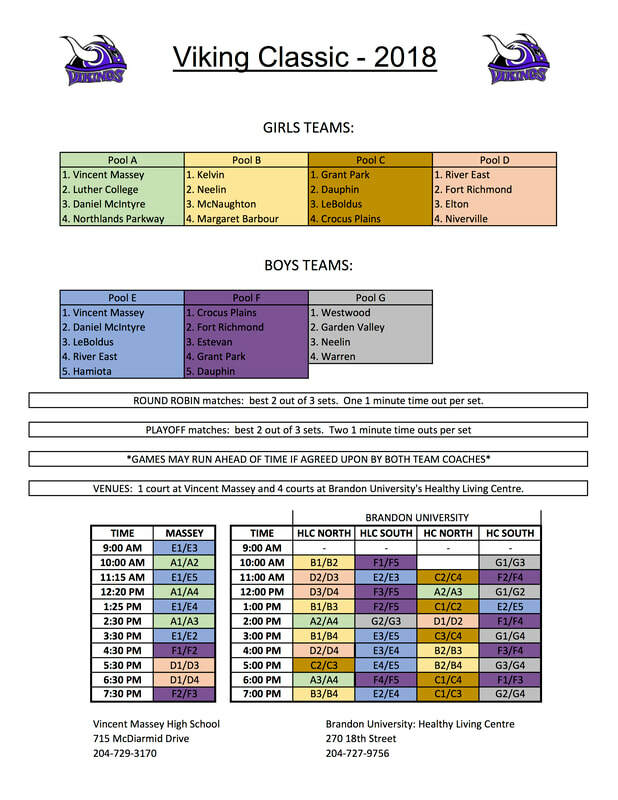 The tournament will be played on the main court at Vincent Massey as well as four courts at Brandon University’s Healthy Living Centre. The entrance to VM is on the west side of the school. Be aware that classes are still going on so players should be respectful. Change rooms are found downstairs beside the gym. At the Healthy Living Centre parking may be a challenge during the school day on Friday. Two-hour street parking is available near the facility as well as a paid lot on the east side of the facility however during the day lots tend to be near capacity. Enter the facility from the North Side. Upon entrance, the courts to your left are called HLC North & South while courts to the right in the older part is the Henry Champ Gym where HC North & South are located. The canteen and the HLC will be open on the top floor. 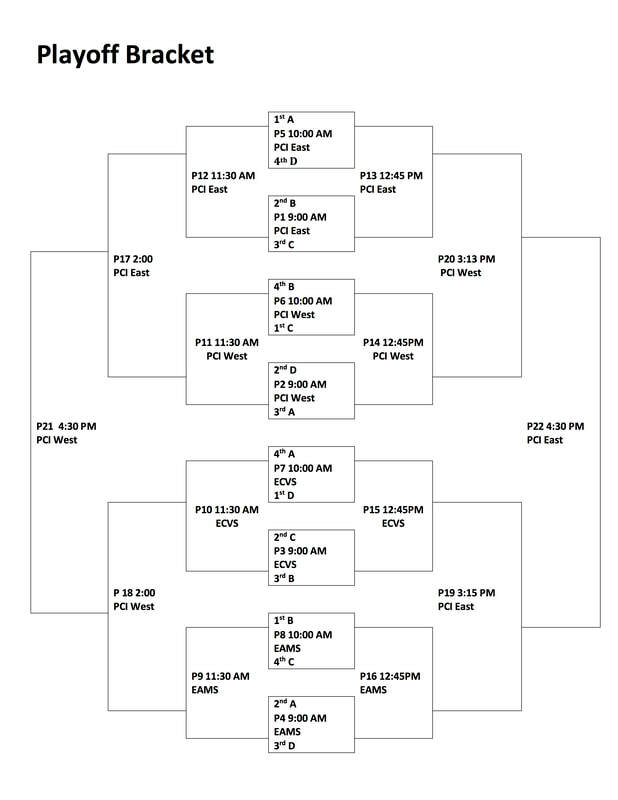 The Varsity Boys Volleyball team played their opening tournament of the season at Brandon University this weekend. After Friday’s round-robin record of 8-2 to finish 2nd in their pool, the Zods went on to playoffs on Saturday with confidence. 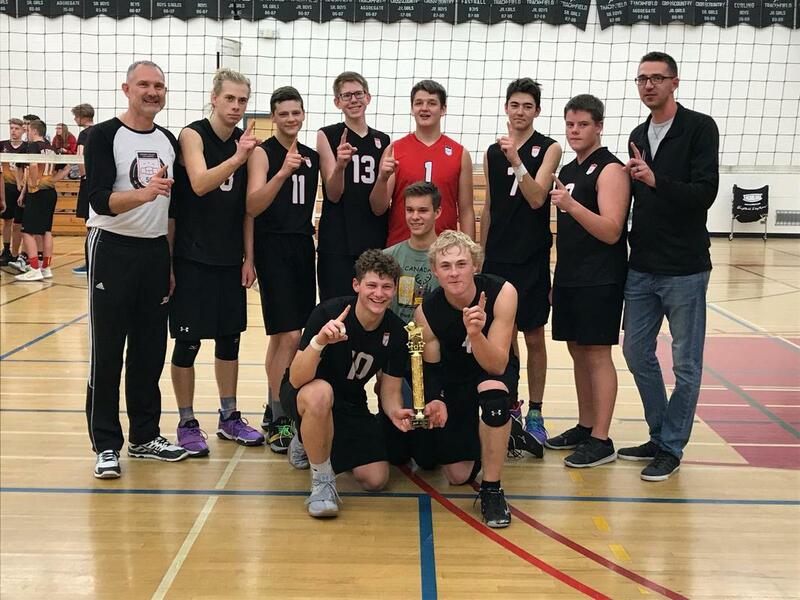 After wins in the first 2 playoff match ups, they faced a scrappy Crocus Plains team, who forced the Zods to the third place matchup, and themselves ended up playing their cross-town rival Vincent Massey who ended up taking home the championship prize. The Zodiacs were bronze winners with a victory over Yorkton in the third-place match. Good start to the season boys! 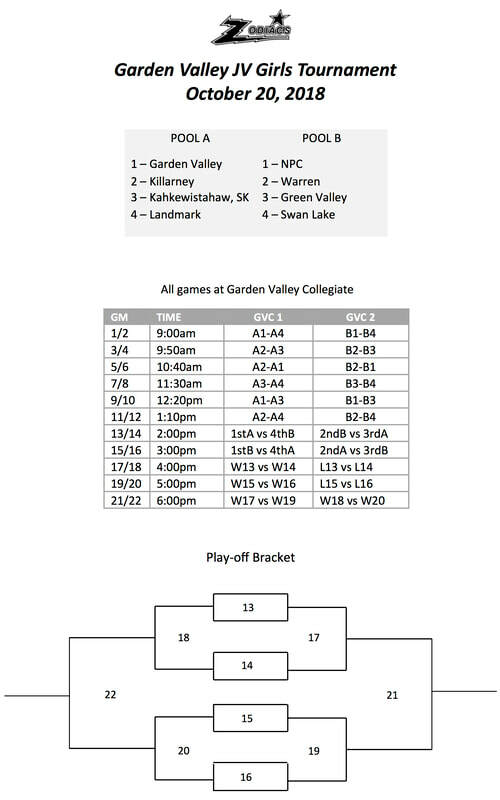 Garden Valley Collegiate is a Grade 9-12 High School located in Winkler, Manitoba. Volleyball is just one of the many sports we offer our athletes!